HOT’s Vanessa Alves was invited to Ore Community Centre for an in-depth look at how it serves the local community and what’s on offer. Ore Community Centre is a building that is now 150 years old. Once a village school, it is now run by Ore Community Association, a not-for-profit organisation that runs the centre mainly through volunteers and local residents. 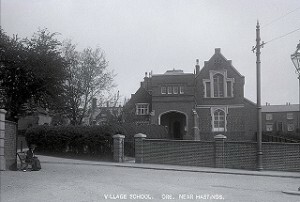 Circa 1905, Ore Village School with thanks to the Hastings Library. As I sat down in the office to chat with Debby, one of the two co-coordinators of the centre, there is a huge white board with the days of the week and times of each group and activity that takes place. The range of activities is impressive: from yoga to bingo, a creative writing group to pole dancing classes, there is always something going on from Monday to Sunday and something for everybody to do. I go to the community centre personally to take my youngest to the St Helen’s Tiny Footprints parent-and-toddler playgroup on a Thursday afternoon. Everyone I had encountered in the building was very busy, but they stopped and made me feel welcome. There is a wonderful sense of fun between them as we talked and laughed. As it is mostly run by volunteers, there are plenty of opportunities to be a part of the family that works in the Ore Community Centre. With so much going on, I asked Debby how many people walked through the door – it turns out that nearly 2,000 people a year are using the community centre and the numbers are growing. Debby was clearly excited to tell me how dynamic Ore Community Centre is, as we discussed the relationships it has with outside groups and initiatives. They have worked with the Big Local to set up Queen Bees, a ladies craft group that runs fortnightly every other Tuesday morning. Since January, they have started NHS health checks on a referral system that takes place at the centre, as well as holding The Regional East Sussex Pulmonary Service (RESPS) Pulmonary Rehab Classes on Friday afternoons that help people with chronic respiratory conditions. The centre also works closely with the North East Hastings Wellbeing Hub that aims to address the health inequalities in the town, and Education Futures Trust, which seeks to enhance learning and educational opportunities by working with schools and families. As we walked around the building, it became very clear that every inch of it is utilised and serves multiple functions; for example, one of the upstairs halls is used as a dance studio some days and for an art group another day. There is also a Games Development Virtual Reality studio that offers the chance to learn the skills needed to gain access to the gaming industry. With multiple computers and an interactive white board that has been donated, it is one of the few studios in the UK that is community-based. Providing access to equipment for people on low incomes and for those who simply cannot go away to train, they have already developed one game for phones and tablets. They have three more in production and continue to look for more sponsorship, as well as for more donated higher-end equipment to really be able to produce virtual reality games in the future. I saw the back hall set up for the afternoon for the food pantry. 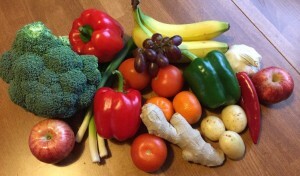 It is based on the Stock Port community food pantry where people who have signed up to the scheme pay £2.50 and have access to 10 items of food and receive bread, fruit and vegetables for free. This has been running since February and the Ore Community Centre has been working with Food Share to provide food just past its sell-by date that would have otherwise been thrown out. Members of this scheme have access to additional support with utilities, well-being and debt advice. I was informed that the hall was only a temporary home for it – they are looking to have another building at the back where it could be permanently based. 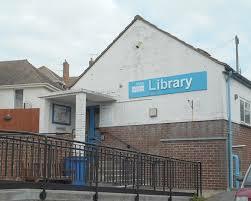 This led onto us discussing what the future held for the community centre and its vision. I was pleasantly surprised to hear that they want to be able to hold an even more diverse range of physical, social, creative and educational activities offering the community not only opportunities but involving them too. They are holding a food event with Hastings Voluntary Action on Monday 4 June at 10am-3pm at the centre to highlight their work with people in the community, with a free lunch included and the opportunity to volunteer with them. Click on the link to register your place! The long-term goal is to create a hub between buildings, like they have with the Men’s Shed next door that aims to reduce social isolation for men. 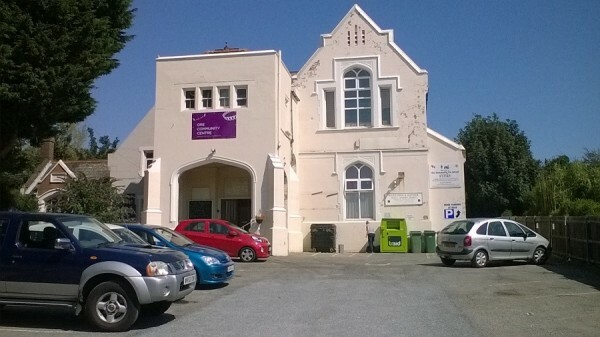 To this end, the centre has put in a business proposal to also take on the Ore Library, that was recently closed down by East Sussex County Council. They have worked closely with the ESCC to put in a strong bid and are now waiting to hear back from them. With an eye on the future, there seems to be no slowing down for the Ore Community Centre. 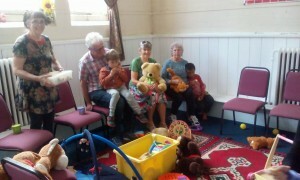 A local centre that serves the community. If you want to go find out for yourself, Ore Community Centre is located at 455 Old London Rd, Hastings TN35 5BH and is open every day. You can reach them on 01424 432719 or on their Facebook page . 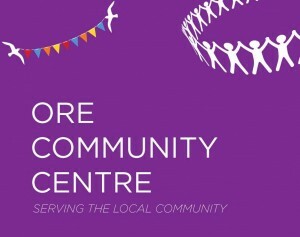 Have a look at this link and see for yourself how much Ore Community Centre has to offer not only to Ore but the whole of Hastings – there is truly something for everybody.